So it has been a little while since I lasted blogged. 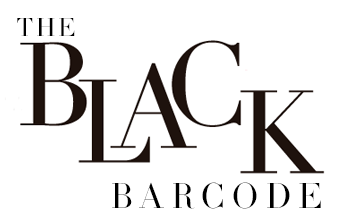 I have been keeping up on Instagram (follow along: @TheBlackBarcode) but I just haven't had time to post on here. This week I am actually headed on a fun trip to visit on of my best friends! With that trip coming up I had been catching up with my school stuff so I wouldn't have to do that well on vacay. One of my online classes is over on Sunday so it is seriously crunch time. I have a few for things to get done by Wednesday which has kept me super busy. In other news, I have been just working a ton lately, picking up any shifts I can get. With that I am trying to stay balanced and work out 1 to 2 times a day. I usually will do cardio at the gym for 45-60min and than a strength exercise. I switch from doing my BBG workout and a Jillian Michaels DVD. Both are hard work, but make me feel better about myself. More to come on my workout routine if interested. I really need to just start eating healthier. I have gotten better the last few weeks, but just not where I need to be. The weather has pretty great lately so I opted for these cute shorts and shirt combo. The shirt is actually cropped, which I don't really like, so I ordered a size up and it works perfectly. I will be posting hopefully everyday this week, so check back tomorrow. Nowadays, you can easily get things online. But it is important to get high-quality and good products for regular exercise. Now you can get yoga supplies online very easily and swiftly. The will provide you free shipping and free return and refund if products are not as they are described.